As of this weekend, The Ring is a decade old. I wrote up a retrospective review for the blog Ten Years Ago, which you can read if you want to hear my thoughts on how the passage of time — and the passing of the Asian horror remake fad — have colored this film. (You know, more than those cyan filters colored it in the first place.) But you will have to click the link to read them. Here below, however, I give you my miscellaneous notes about The Ring, in classic A.V. Club style. Sadly, they may be more telling of how the last ten years have treated this movie than anything I say in my actual re-review. I can’t decide if Ring parodies have helped or hurt the movie’s rep. It’s a toss-up, probably, but one spoof stands out: “Body Fuzion,” one of the first Saturday Night Live Digital Shorts. In the original broadcast, the Drew Barrymore-led workout clip turned out to be the video Aidan is watching, the one that prompted Rachel’s horrified reaction. In re-broadcasts, the Ring endjoke has been stripped, but I’m sure this version still exists somewhere online. So who of this film’s cast has done the best career-wise? Watts’s career has cooled in recent years, but she’s playing Princess Diana in a buzzed-about upcoming film, and I feel most people still consider her a capable, reliable actress. The Ring also boasts a pre-O.C. Adam Brody as a spooked high schooler, but it’s maybe Pauley Perrette, who plays Noah’s college-aged fling, who’s come the farthest as far as mainstream popularity is concerned. No matter what anyone says, tons of people watch NCIS. In a class by herself: Daveigh Chase. She’s something, even independent of Samara. She voiced both Lilo in Lilo & Stitch and Chihiro in Spirited Away, and she played the non-Gyllenhaal Darko sibling in Donnie Darko — a role she reprised in the rather meh sequel. She also played the manipulative Rhonda Volmer on Big Love, but her most recent feat to date is her involvement with a messy custody battle over a dog... named Stitch. Like I said, a class by herself. Shannon Cochran played Samara’s mother, the one who bashed the little darling’s head in and dumped her in the well. She doesn’t have an extensive filmography, but she did play Pam Beasley’s mom in a 2005 episode of The Office before the role was recast. That puts Pam and Samara in the same category, at least in my head, and I think that is funny. Gore Verbinski directed three Pirates of the Caribbean moves as well as the Oscar-winining Rango. Ehren Krueger wrote two Transformers movies. 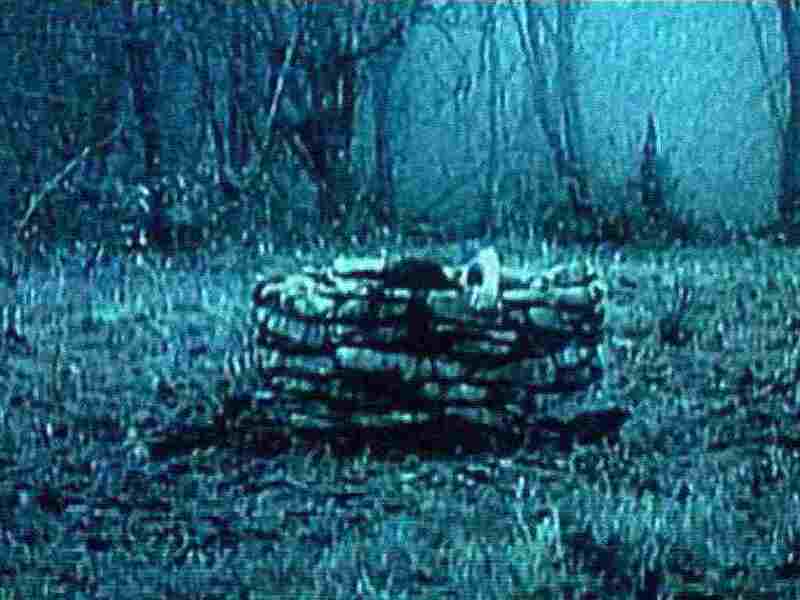 I maintain that The Ring is the best film either has been attached to. The VHS tape isn’t the only antiquated technology in the film: landlines and non-flatscreen TVs abound. But this former newspaper editor had to cringe at the scenes of Rachel working in the bustling newsroom of the Seattle Post-Intelligencer, because that’s perhaps the most glaring example of something that was plausible in 2002 but is no longer so today. Finally, if you’ve made it this far, you might be interested to read a personal intersection of my life and The Ring — the Amber Tamblyn corpse in particular. Enjoy! I'll be honest: When it got to the point in the film where it showed the bustling newsroom, it stung a bit. I actually applied for an internship at the PI. They didn't hire me, but still.